HJ: The opposite of fear is not love, but trust. Trust that everything that is happening is intended to help you grow and evolve your consciousness. 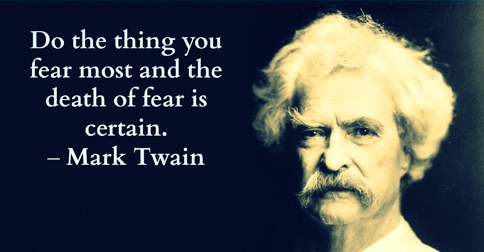 Fear is just a feeling—a simple emotion and nothing else. You are not actually afraid of any one thing, you are afraid of the feeling of fear because it is not pleasurable. And we typically avoid anything that makes us feel negative emotions. Fear is so easily overcome, especially with these 4 mantras. But after adopting this mantra, I started realizing that whatever it is fear makes us feel—whether it be sadness, jealousy, guilt, hopelessness, anger, distrust, unworthiness—other people feel this too. Even when I am in the midst of a panic attack, certain that I am going crazy or about to die, I tell myself thatother people feel this too. I am not alone. This mantra also evoked compassion and empathy. Instead of focusing solely on my own struggles, I began shifting my attention to all the people who feel this pain, too. My thoughts then morphed fromWhy am I suffering? to May all beings be free from this suffering. Malia Bradshaw is an Austin-based yoga teacher, writer, and healthy food blogger. For more information, visit her website at maliayoga.wordpress.com.